Humble as Canada is often projected to be, in recent years it's hogging the travel spotlight. With Lonely Planet and the New York Times ranking Canada as the number 1 travel destination in 2017, it's got many people are asking, “what's the big deal, eh?”. As Canadians ourselves, we are decidedly biased in saying it's a place everyone should visit in their lifetime. From glittering glacial lakes to forest-lined roads speckled with wildlife – Canada is a feast for the eyes, and will leave any visitor hungry for just a little more time to explore it. So, are your feet itching for an outdoor adventure? Hit up any of these 12 spectacular national parks. We promise you won't regret it. Mountains glazed in snow, the sweet perfume of pine, and lookouts that pluck the “wow” right out of you – Kluane National Park is a gem of the Yukon. As Kluane is close to the American border, this park is well paired with a figure-eight driving route through Alaska too (check our route recommendation here). How to get there: ~2 hour drive from Whitehorse to park entrance. Can be done as day trip, camp overnight, and/or part of a longer road trip including Alaska. Seaside driving, jaw-dropping lookouts, and the persistent crispness of sea salt-infused air, Nova Scotia's Cape Breton Highlands offer some of the best national park driving you can do. Be sure to hit up the Cabot Trail for your best odds at seeing Canada's majestic moose in the wild. When to go: Summer for warm temperatures (it can get quite chilly by the sea, especially if camping). Fall offers incredible foliage and spring is the less busy shoulder season. How to get there: Driving is best (one can fly into Sydney or Halifax first). Want to check wild polar bear sightings off your bucket list? This is the best place in Canada (heck, even the world!) to do it. It's a long ways north, but the majestic sight of polar bears amidst the arctic tundra is not something you'll ever forget. What to see: Polar bears, arctic foxes, caribou, moose, arctic landscapes, wetlands, subarctic forests. Tours are pricey but essential for visiting the park. Day tours are available as are multi-night packages from Winnipeg. When to go: Late February to mid-March is ideal for spotting polar cubs, while late October to November is prime time for seeing hoards of adult bears. How to get there: Fly from Winnipeg or take the train (limited scheduling, check VIA rail website for details). Where to stay: In the city of Churchill at a hotel or B&B. Though famed for its pristine snowglobe-like winters, Quebec is just as miraculous in its other seasons, and is home to stunning beaches and nature. Gaspé has many such epic coastline, with towering cliffs and emerald waters that shimmer in the summer sun. What to see: Teetering cliffs, rolling green hills, quaint cottages, and ever-stretching beaches. There's also plenty of wildlife including sea birds, whales, moose, lynx, and more. When to go: Spring to summer for beach time and winter for outdoor activities like snow shoeing and cross country skiing. How to get there: ~10 hour drive from Montréal, Quebec or ~7 hours from Moncton, New Brunswick. Alternatively you can take a flight from either province. Where to stay: Gaspé is a less trodden destination, but does have hotels and cabins throughout the region. Mountains, fjords, rivers, and more – Gros Morne is the epitome of gasp-inducing Canadian wilderness. With bears, arctic foxes, lynxes, and waterfalls all on offer, how can one not be intrigued by this incredible place? What to see: Massive fjords, gaping landscapes, majestic lakes (boat tours available), waterfalls, mountains, wildlife (arctic foxes, bears, and more). When to go: Winter is harsh here, so spring to fall is ideal with summer being best if you are wanting to camp or hike. How to get there: It's a long (nearly 7 hour) drive from St. John's, though a quick one hour flight to Deer Lake does the trick where one can pick up a car rental. Where to stay: Camping is possible in the park, though AirBNBs and hotels are available in the area too. Rusty red sand and a rainbow of brightly painted beach houses – PEI National Park offers colourful oceanside views on a less trodden scale. Anne of Green Gable's fans (and even those who aren't) should pay a visit to the picturesque birthplace of the fictional character. The Irish influence in this part of Canada provides unique entertainment; don't miss a local Celidh while here, it involves live fiddle, dancing so quick feet become a blur, and an impossibly good time with small-town locals. How to get there: The island itself is tiny to explore and is a ~2 hour drive (across an epic bridge!) from Moncton, New Brunswick. Where to stay: Adorable B&B's adorn this island province (check AirBNB or Booking.com for listings). Campsites are found throughout the island as well. Are you an eager beaver to see Canadian wildlife? Jasper is arguably your best bet to do it. With even lesser crowds than its sister park, Banff (which is also indeed worth a visit), you're nearly guaranteed to see something. Elk, deer, and bears are surprisingly common to spot, particularly at dusk. When to go: All times of year offer different wildlife sightings, though spring to fall are arguably the most comfortable temperature-wise, especially if camping. 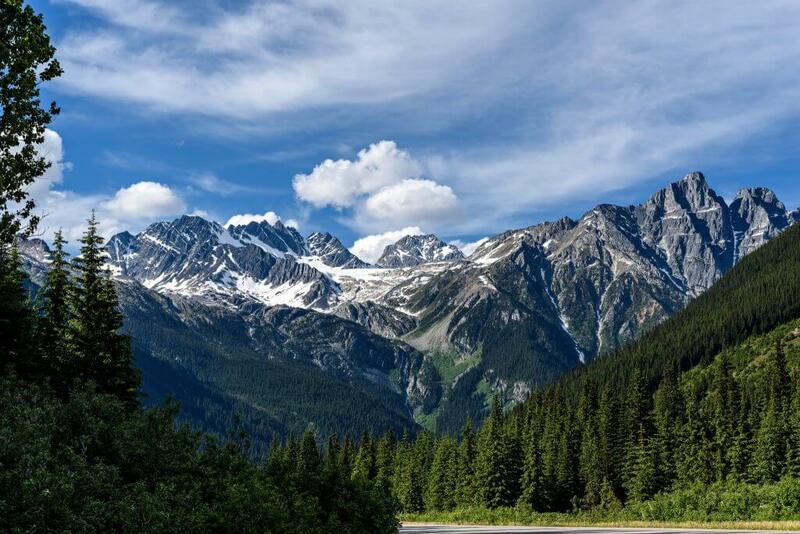 How to get there: Driving is recommended, though day tours are available from Jasper. Where to stay: Camping is ideal, but AirBNBs and hotels are plentiful in Jasper. When you hear the word ‘safari', Canada doesn't come to mind. But second only to Africa, Canada is actually home to the largest number of hoofed animals on earth. See them in the wild by camping at Elk Island and driving through the park yourself which is home to bison, moose, deer, and more. What to see: Tranquil lakes, beaver, moose, elk, bison, thick forest, brilliant sunsets. Many wildlife are most active at dusk. When to go: November to April is best for viewing elk, though fall offers incredible leaf changes and summer provides great warmth. How to get there: 35 min drive from Edmonton (feasible day trip). Where to stay: Edmonton is nearest city, but you can camp overnight in the park. Check Booking.com for hotels or AirBNB if you fancy nicer digs. The name says it all – if you're keen to check glacier-spotting off your bucket list, here's where to do it. Glaciers snake their way between mountain peaks which create a delightfully epic skyline. When to go: Each season provides different scenery. Winter means whiter, snowier mountains, spring provides bubbling rivers, summer is warmer, lush landscapes and fall showcases colourful forestry. Where to stay: Camping is recommended or stay in a hotel or B&B in neighbouring towns (note: most towns are ~1 hour away). Waterfalls, rugged coastline, and the highest tide change in the world. Canada's East coast is as refreshing to the eyes as it is the palate (that is, if seafood is your jam). Fundy's beaches, lighthouses, and forest walks are plentiful here, as is its wildlife including moose, whales, dolphins, beavers, and more. When to go: Spring, summer and fall offer tolerable temperatures (summer being warmest). Whale watching is best done from mid-July to early September. Kayaking the Bay of Fundy is also possible in warm months. How to get there: Driving is ideal to really be feel New Brunswick's vibes. The National Park is only a 1 hour drive from Moncton. Where to stay: Camping in the park is possible, or visits can stay 1 hour away in Moncton in hotels or AirBNBs. While not numerically precise to its name, the abundance of islands here (which are worn-down ancient mountain peaks) are incredible to see. Though one of Canada's smallest national parks, the forest-lined rivers are big on the senses. Dense green forests, the sounds of lapping water, and adorable brick castles sprinkled throughout the islands are the crowd pleasers here. Where to stay: Hotels or AirBNBs (many small towns nearby). With hidden caves and gorgeous blue grottos reminiscent of Italy, the Bruce Peninsula is worthy of all its hype. There are plenty of spectacular hiking trails on offer here, from day walks to multi-day treks. With the Niagara region nearby, you're best to pair this with a trip to the famous falls while you're at it. How to get there: Driving is ideal (~3.5 hour drive from Toronto with many small stops along the way and near the park). One can also take a 3-day tour departing from Toronto if a DIY trip is less feasible. Where to stay: Camp within the park or stay in a nearby town at a hotel or AirBNB. And there you have it, a snippet of some of Canada's most incredible gems. But don't let our list restrict you – there's plenty of jaw-dropping parks on offer in every province and territory. With national park fees waived this year, there's never been a better time to get out there and see 'em, eh! What are your favourite national parks in Canada? Any must-visit's you'd add to the list?